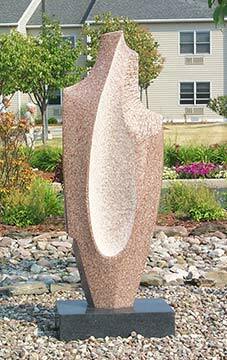 Corporate Sculpture, Site specific sculpture for your office or facility. 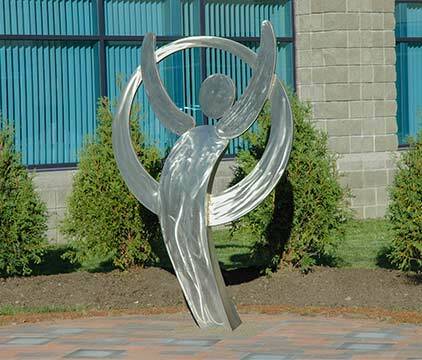 Here are some samples of sculptures that Mark has created for corporate offices and health care facilities. 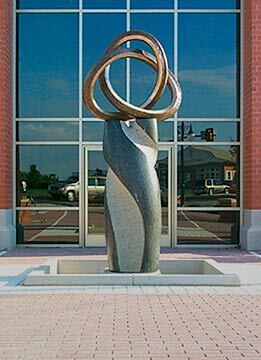 If you would like to create a sculpture to enhance you business or facility, contact Mark to discuss your ideas. 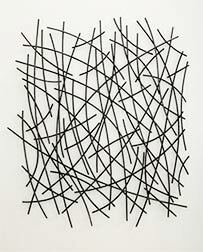 Contact the Artist. 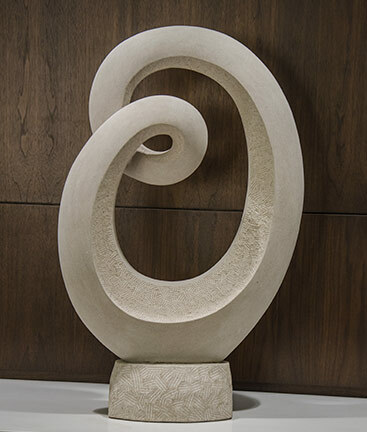 To create a unique sculpture for your office, view the process of commissioning a work of art. 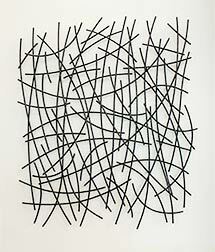 See how this sculpture was made, click Towamencin. 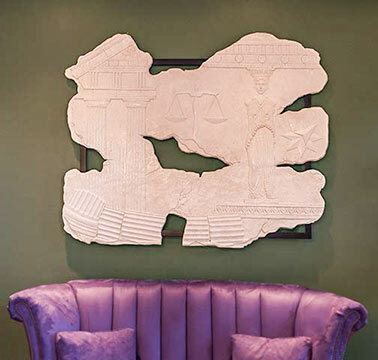 The mural is located in the lobby. See detail photos of this mural, click Mural. Weinberg Campus is an assisted living facility. 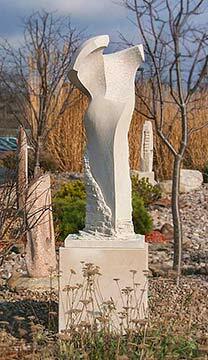 The sculpture garden is made up of 11 of my sculptures. For more pictures click Weinberg Campus. 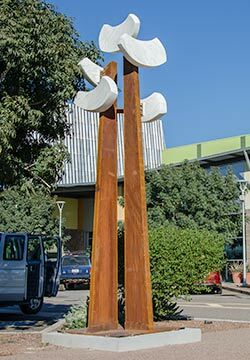 Sculpture in front of Avondale Civic Center. 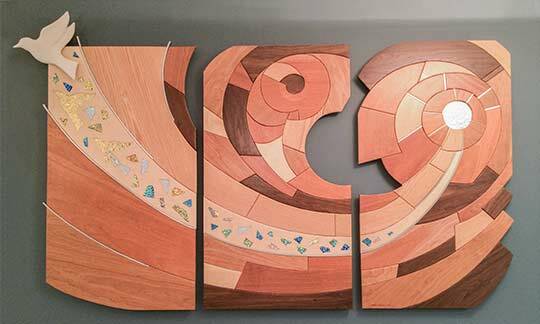 The mural is located in the lobby. 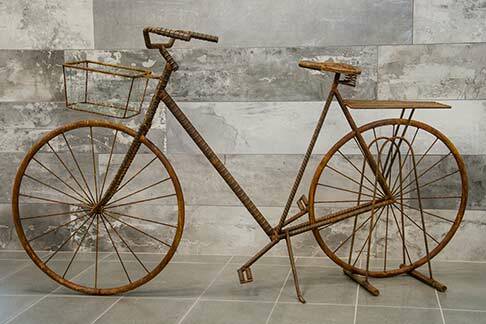 The bicycle is made of different sizes and shapes of rebar. 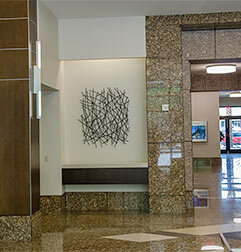 It is located in the lobby. 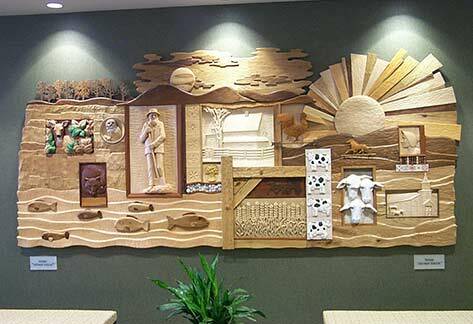 The mural is hand carved from six different kinds of wood. 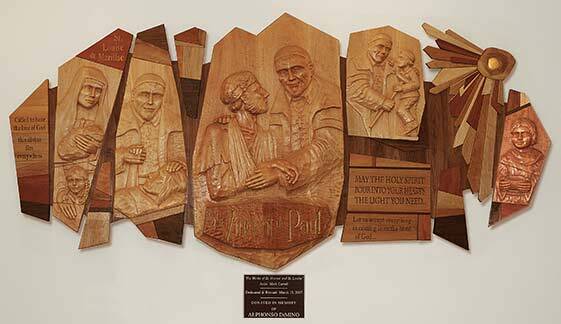 It is located in the entryway of the hospital.